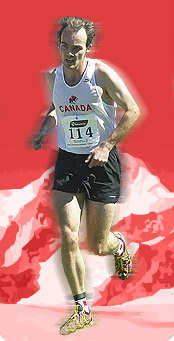 The Canadian Mountain Running Association is pleased to announce that the 2013 Canadian Mountain Running Championships will be held at Mt. Sutton, Quebec on June 1st, 2013 as part of the Xtrail Asics series. This year is the first time the Canadian championships have been held in Quebec. This is an exciting opportunity for athletes from Quebec and Ontario to compete for the national title in the senior men, senior women, junior men and junior women races. Athletes are expected to travel from across the country for the chance to be crowned Canadian champion. The senior men and senior women will tackle a challenging 11.8km course and the junior men and junior women will compete over a formidable 6.5 km loop. The race will serve as the selection race for the 2013 NACAC Championships in Cranmore, NH on July 21st and the 2013 World Mountain Running Championships on September 8, 2013 in Poland.